In recognition of the many public benefits private lands provide, landowner assistance programs have been developed as a way to support landowners. To many landowners, the acronyms of these various programs can be a confusing “alphabet soup”. It is important to do your homework to fully understand the benefits of the programs and your obligations under it. The programs can generally be used separately or in combination with each other. Also, consider talking to a neighbor or a friend who has participated in a program to learn about their experience. A brief explanation of the available landowner programs and the government organization which administers them can be found below. Simply click the program name for more information about a specific program. Conserving land in Massachusetts is critically important. Often times though, what happens to that land after it is conserved is not considered. Maintenance of protected land for wildlife can be just as important as the initial conservation agreement though. 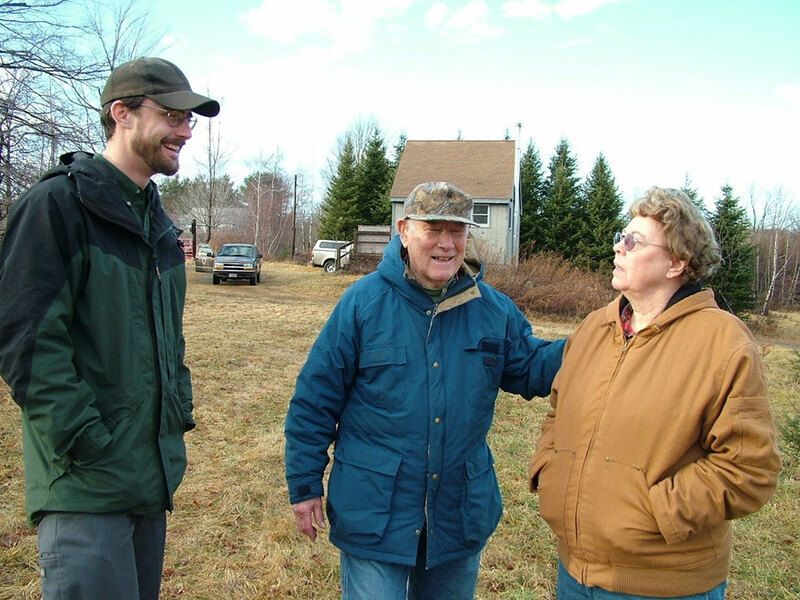 Costs incurred with active management can be high, which is why MassWildlife (Massachusetts Division of Fisheries and Wildlife) has developed a grant program designed to help landowners with the financial burdens associated with continued land management. The program is geared towards habitat management for game species, species of greatest conservation need, and activities associated with public recreation such as hunting, fishing, and trapping. Conservation lands in the Commonwealth of Massachusetts owned either by private individuals or municipalities are eligible for this assistance. Details and an application can be found here. State tax laws in Massachusetts require that land be taxed at its full and fair market value. Most often this value is derived from residential development. Property taxation presents a problem for landowners who are interested in keeping their land undeveloped. To assist landowners the Commonwealth passed created the Chapter 61, 61A and 61B programs. Each law provides a means to assess forest land at a portion of its fair market value, lowering landowner taxes and making it more affordable for landowners to maintain their land as undeveloped. The Massachusetts Forest Stewardship Program (FSP) supports and encourages private forest landowners' efforts to manage, enjoy, and care for their land using a long-term approach. The FSP is a program of the MA Department of Conservation and Recreation (DCR) Bureau of Forestry which strives to provide education and periodic cost-share opportunities to forest landowners. The program is administered in partnership by DCR and the Massachusetts Woodlands Institute. The FSP currently has funds available for preparing new Forest Stewardship management plans. Download a FSP mangement plan cost share form. For more information about management plan cost-share and eligibility, e-mail Mike Downey or call him at (978) 368-0126 ext 129 or e-mail Melissa Patterson or call her at (413) 625-9151. Landowners with a FSP management plan and/or enrolled in the Ch. 61 Current Use program are eligible to become Forest Stewardship Council green certified. Learn more about green certification. To become green certified, landowners must upgrade their forest management plans to green certification standards. Cost-share is available for this management plan upgrade. Download a green certification management plan upgrade form. For more information about DCR's green certification program, e-mail Doug Hutcheson or call him at (413) 237-9713. MA Department of Conservation and Recreation’s newest cost share program is now open to landowners across all of Massachusetts. Modeled on a successful program in Vermont, Foresters for the Birds provides landowners with information about bird habitat on their land, and recommendations about how to enhance it in conjunction with other forest management goals. The program provides funding assistance for a trained private forester to evaluate the existing and potential habitat for birds that rely on the forests of Massachusetts for much of their breeding habitat. The birds were selected by Mass Audubon as conservation priorities, and cover a range of forest types. Foresters will provide landowners with forest management recommendations to improve or create new bird habitat, which must be incorporated into an existing or new Forest Stewardship Plan. Private landowners with 10 or more wooded acres are eligible to receive funding assistance for the development of a Bird Habitat Assessment. For more information visit Massachusetts Woodlands Institute's website or contact your DCR service forester. The Environmental Quality Incentives Program (EQIP) is a voluntary conservation program administered by the USDA Natural Resources Conservation Service (NRCS). Although typically associated with more traditional forms of agriculture, the most recent farm bill includes funding for forest non-industrial forest land owners. Applications may be submitted at any time. Find your local NRCS service center. The LIP program is administered through the MA Division of Fisheries and Wildlife as a partnership that provides private landowners interested in developing and maintaining wildlife habitat on their property with financial and technical assistance.